So DC Entertainment has registered a trademark for the name Pennyworth, for a “production of live-action, dramatic comedy television series.” Yes, DC seems to be at least thinking about giving Bruce Wayne’s butler/thug Alfred his own series. WHAT IS EVEN HAPPENING. Let’s ignore the fact that Alfred Pennyworth is a goddamn psychopath and concentrate on how baffling this is merely in terms of Gotham. Yes, Alfred and Bruce Wayne are pretty minor characters, so technically it would be easy to drop them from the narrative. But there’s something incredibly bizarre about a Batman prequel that doesn’t even include Bruce Wayne. That is, of course, assuming that Bruce Wayne will be accompanying Alfred to his new series, which I don’t think we can accept that as a given. The spin-off that makes the most sense would be for Bruce Wayne to go around the world to train to become Batman, with Alfred accompanying him (which is of course not what happened in the comics), but this would hardly be the Gotham universe’s most egregious reinterpretation of Bat-canon). 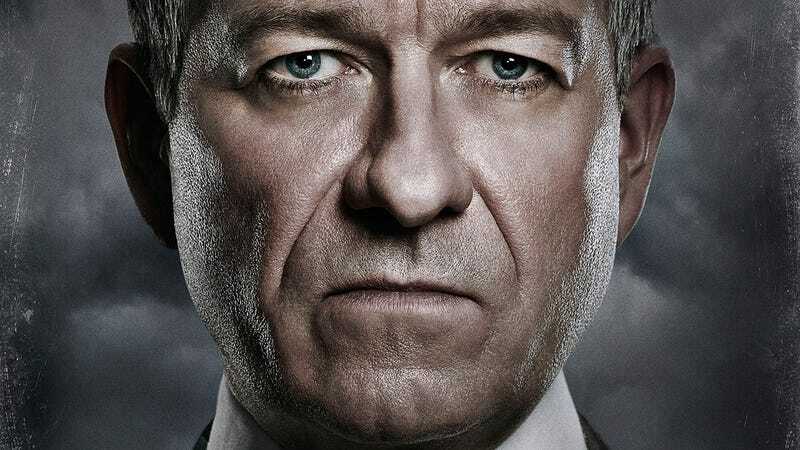 This actually brings us to the most important point here, which is that Gotham’s Alfred is a psychopath. This is not unimportant. If he’s going to star in a show, the show would then be about a terrifying murderer who has no qualms punching children he doesn’t like; he’d be like Dexter, except without the self-awareness that being a serial killer is bad. (Seriously, Alfred talked Bruce into letting him murder the suspected killer of the Waynes just last week.) How is that possibly a sustainable TV series? I don’t know. I can’t imagine DC does either. About the only thing I do know is that every time I think Gotham can’t get any crazier, it proves me wrong.